It’s a done deal! Roberto Firmino Barbosa De Oliveira was born on the 2nd October 1991. He is an attacking midfielder come striker who was born in Brazil, but has spent the last 5 years plying his trade with 1899 Hoffenheim in the Bundesliga. Despite interest from Manchester United and Bayern Munich, the Reds have snapped up the 23 year old for an initial fee believed to be around £22 million, rising to £29 million with add-ons. The Brazilian scored 47 in 151 appearances for Hoffenheim and has averaged a goal every three games throughout his career. He has never gone more than 4 games without a goal or assist and has become Liverpool’s second most expensive player ever. The first new name that Liverpool have been linked with this week comes from The Telegraph, who have plucked the name Aymen Abdennour seemingly out of thin air and decided to link him with LFC. The Monaco defender only joined the club from Toulouse last season but is already keen to move on, with Arsenal, Spurs and Newcastle also keeping an eye on him. Whether Liverpool are actually interested in the Tunisian or it’s just his agent trying to get him some more money remains to be seen, but the player’s representative was quoted as saying, “There are clubs who have approached us and who will enter into contact with Monaco. There is AC Milan, Inter Milan, Barcelona and Liverpool. I don’t think that Monaco will prevent Aymen from leaving”. Sky Sports reckon that Ian Ayre isn’t satisfied with flying out to Chile merely to sign Firmino, they reckon he’s going to try to tie up another deal or two whilst he’s there. Cue rumours that the Reds are after Venezuelan hit man Salomon Rondon. Rondon is currently playing for Zenit St. Petersburg and has scored 114 goals in 289 career appearances. The striker is seen as a viable alternative to Christian Benteke should the Villa striker, who has been heavily linked with a move to Liverpool since the end of last season, decide to stay in the Midlands. Rondon scored 20 times for Zenit last season as he helped them win the Russian league title, and he would be available for around £15 million. Another South American that Ayre could try to get into a Liverpool shirt whilst he’s over in Chile is Carlos Bacca. The Sevilla striker scored 28 goals in La Liga last season and has certainly give the Reds’ Chief Executive plenty to chew(Bacca) over. The Daily Mail are reporting that Sevilla are determined to keep hold of their prolific striker unless they have literally no choice but to sell him, so they’re insistent that any bidding club will have to trigger his £21.5 million release clause. Given that’s about the amount that the Reds would like to pay for Benteke, it seems that the price isn’t the thing that’s stopping Liverpool from making a bid. His 191 goals in 365 career appearances make him more than appealing, but the fact that he turns 29 in September could be putting FSG off. They are known to want value for money and a potential resale value, but it’s unlikely that they’ll get much change if they wanted to move Bacca on in the future. He’d be a great addition, but will FSG take the gamble? 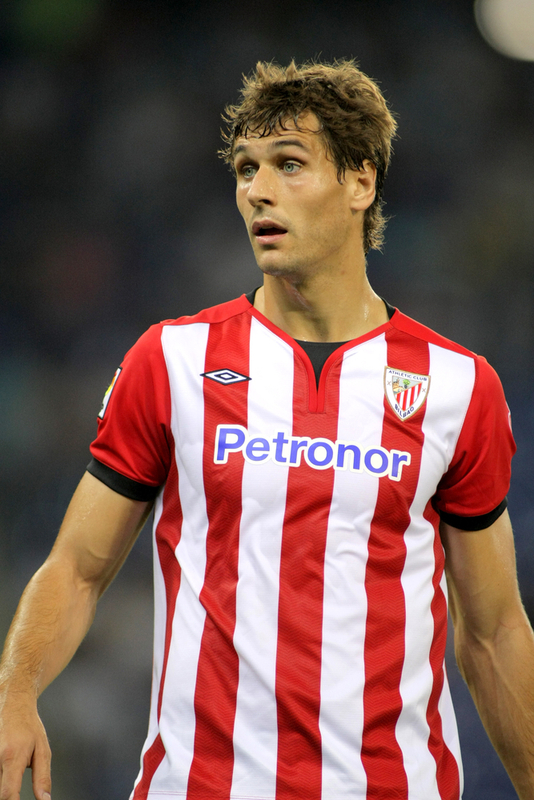 The Express are just one of the papers linking Liverpool with a move for the Juventus striker Fernando Llorente. The Spanish striker moved to Serie A on a free transfer in 2013 but has struggled to settle in Italy. It seems likely that he will be moving on this summer, owing to the fact that Juve have already brought in both Paulo Dybala and Mario Mandzukic, meaning Llorente will fall even further down the pecking order in Turin. Much like Bacca, however, the Spaniard’s age could prove a stumbling block in Juventus’ attempts to get him off their books, given that he’s 30 years old. AS Monaco have already put in an offer of £11 million, which was rejected. But Liverpool might need to act soon if they want to capture his signature. Caughtoffside.com are saying that the Real Madrid mouthpiece Marca have claimed that Liverpool are interested in signing the Real midfielder Asier Illarramendi. Reports from Marca always need to be taken with a pinch of salt, owing to the fact that they generally try to drum up interest in Real’s players when the Spanish giants want to move someone on. This one could have legs, though, given that Toni Kroos’ arrival from Bayern Munich meant Illarramendi only made 10 starts for Real last season. Liverpool are keen to bolster midfield options after the departure of Steven Gerrard, and the 25 year old could see Anfield as a good place to reignite his career. There is always to Rafa Benitez link, too, and he could be happy to help his old club out. The Independent, meanwhile, believe that Liverpool’s search for a spare goalkeeper hasn’t ended with the signing of Adam Bogdan on a free, nor with the contract extension offered to youth ‘keeper Danny Ward. They claim that the Reds have targeted Olympiakos stopper Roberto Jimenez Gago. According to Greek newspapers Liverpool have spoken to the Spanish ‘keeper’s manager about a possible move, leading to the idea that Mignolet could still have to fight for his place between the sticks at Anfield. The former Atletico Madrid player has three years left his contract, but has a release clause believed to be in the region of £7 million. He’s already attracted interest from Serie A and La Liga, but given Liverpool can’t stop signing people at the moment it could be an interesting move for both parties. Finally, no good transfer rumour round up would be complete without a story from The Metro. The paper that you ignore when someone hands you a free copy on the train is well known for it’s complete tosh, so take this one with a huge chunk of salt. Regardless, they are saying that Liverpool are lining up a move for Napoli’s winger Dries Mertens. The Belgian isn’t convinced his future lies in Italy after Napoli missed out on the Champion’s League and Benitez left to go to Real Madrid. Why he’d want to go to Liverpool when the Merseysiders also don’t have Champion’s League football is something the bloke that makes stuff up at The Metro would have to explain, but he thinks that the 28 year old could yet try to force through a move to Anfield.